What shall I do to book a temporary apartment rental in Rome, or a room in a Bed and Breakfast or in a Guest House ? First of all, please do select an accommodation which you reckon it to be suitable to you in “Rome4all” website and then you put forward your request to us for the period you need it. If it is not available we'll reply very soon with some alternative proposals. Should the apartment or the room you have chosen be open, you will immediately receive a mail from us with the relative instructions, as well as with our booking form. Afterwards, you will have 24 hours to return to us duly filled said booking form, either by fax or attached to your mail of confirmation, in addition to your advance payment of about 20% of the final account in respect of the accommodation chosen by you. Needless to say that - the sake good order - “Rome4all” we will then not fail in giving you due confirmation that your reservation has been duly accepted. What shall I have to do to make said advance payment ? You can make it by BANK TRANSFER or by CREDIT CARD Secure System. What shall I do to settle the remaining balance ? You will have to settle said balance at the check-in by cash or differently, but in accordance to the special agreement made with the “Rome4all”. There will be additional charges to be settled ? No: no additional charges and no agency commissions are contemplated. Should you book an accommodation via “Rome4all” for stays longer than 9 night you will have, as a free gift, a one way service of transfer with a chauffeur from or to the airport, as well as from or to the railway station. At what time is the check-in provided for ? The check-in is due after 12:30 h. However, in the case of absolute necessity or should the accommodation be free, it is possible to anticipate such an operation. Naturally, you will have to give us due communication of your arrival at least 3 days in advance , either by mail or by telephone. Should you not give us due communication of the time of your arrival, there will be nobody to wait for you. Consequently, make it always certain that you have duly fixed a rendezvous with our welcome people. Where shall I find the keys of the accommodation I have booked ? Keys will be given to you at the check-in. Do I have to pay a cautionary deposit against damage ? It depends: at times it can be requested. However, should this be the case, it will be duly mentioned in our mail of confirmation to your booking. The security deposit will be paid by CASH, or personal cheque or by CREDIT CARD but adopting PAY PAL Secure System at the check-in. It will be returned to you at the end of your stay, less eventual damages to furniture and equipment of the accommodation rented by you. What shall I do if I find something broken or not working in the accommodation I have chosen ? All our structures have been duly controlled and periodically inspected in order to offer and guarantee the very best quality to our Clients. However, should something be found out of order or not working properly, you will have to advise us thereof immediately, so that the relative damage will not be charged to you. In other words, should a cautionary deposit has been provided for or it has not been provided for, you will have to give us immediate advice that something in the accommodation you have rented is being out of order or malfunctioning. How much do Children pay ? In many accommodations Children up to 6 years old pay half of the price quoted per person. Older than 6 years pay full price. If I book an apartment there will be other people inside? No: during your stay you will have the exclusive use of the apartment, kitchen and bathrooms of course included. What does the rent of an apartment include ? The price for the rent of an apartment always expressed in €uro includes VAT in addition to electricity, gas, sheets and towels supply, plus its initial and final cleaning. We would remind you that should you book a structure (apartment, room in B&B or in a Guest House) via “ Rome4all “ for stays longer than 9 nights as a free gift you will have the service of transfer with a chauffeur from or to the airport, as well as from or to the railway station of Rome. Is it possible to make the check-in after 22:00 h. or prior to 09:00 h.? At what time do I have to leave the accommodation ? The check-out will have to be made prior to 11:00 of your day of departure . Is it possible to leave the luggage in the accommodation after 11:00 h. of the day of my check-out ? Yes, when this is allowed and provided that new arrivals are not contemplated. So that you may receive due confirmation thereof, or you can even use the accommodation for a longer period, you will have to make such a request to us prior to your check-out. Is it possible for me to rely upon a taxi transfer from the airport ? Yes, for such a transfer the relative prices are duly indicated in “ Rome4all “ website at the Rome pick up service section. Are penalties contemplated for my booking cancellation ? Yes, the precise amount depends on when – i.e. how long before – you have cancelled your reservation. Should you wish to know more details about this eventuality, you can consult the General Conditions in “ Rome4all “ website. 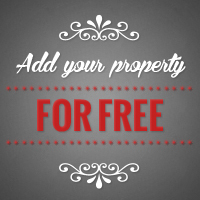 Can I rent an accommodation – apartment , room in B&B or in Guest House - for less than a week ? Yes, the minimum stay varies between 3 and 5 nights depending on the season and on bank holidays. Can a stay begin on any day of the week ? Yes, there you can do it. Which ones are the standard sizes of mattresses ? - the one and half single bed is 1,20 m.
- and a single bed 0,80 m.
The length of standard beds is usually 1,90 m.
Shall I find sheets and towels in the accommodation which I have booked ? Yes, all structures are duly equipped with blanquettes, sheets and towels. Am I allowed to bring along a domestic animal ? It depends: small pets are allowed in certain apartments only. Therefore, please do not forget to make such a request prior to your booking. Is it possible to have a cradle ? Upon request in most cases yes. Please make such a request in advance, so that we can duly prepare the cradle prior to your arrival. And if I have problems during my stay ? It is an imperative mission for “ Rome4all “ to guarantee complete and continuous assistance to Clients during their stay. To this purpose you can rely upon our email address plus our telephone number for all sorts of eventualities. Can we fix the service of a Touristic Guide ? 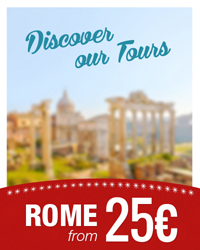 “ Rome4all “ can arrange guided visits, tours and many other services in various languages. Each service will be supplied only by duly authorised professionals. Of course, you can make the relative booking thereof, prior to or during your stay. It goes without saying that we are at your disposal for any information. Do “Rome4all “offer other services ? Yes, we can offer other kinds of services upon a specific request, same are however, better detailed in this page of our website: transfers from the airport, from the harbour or from the railway station up to your destination and vice versa Such transfers are normally effected by chauffeurs with prestigious cars. You will then have the certainty of meeting a person awaiting you at your arrival, a person who will not fail in bringing you to the right destination. The cost of such a service is normally more convenient than that offered by ordinary taxis . We can also organise daily tours outside ROME ( CASTELLI ROMANI, VILLA ADRIANA, TIVOLI and so on ), POMPEI, AMALFI, NAPLES etc.